1st Lt. Joseph E. Harmison, son of Mr. and Mrs. J. S. Harmison, graduated from Frederick High School and Okla.Univ. 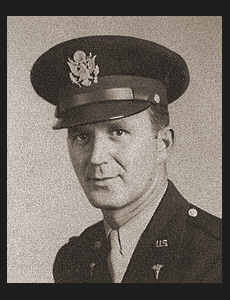 Entered Army in May, 1942, trained in Abilene, Texas; served in Ireland, England, France, Germany, Belgium and Luxembourg. Awarded ETO Ribbon with six Battle Stars,Victory Ribbon, Am. Defense Ribbon.